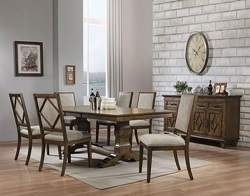 Welcome to Dallas Designer Furniture! 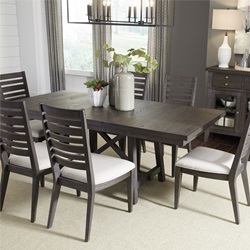 You’re going to love our selection of Dining Room Sets! We have it all. 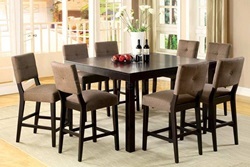 We’d say our specialty is elegant formal sets, but we have just as many wonderful casual dining table sets to enjoy. 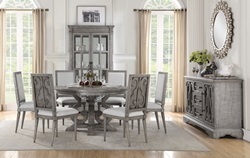 Today’s buyer is really loving the gold and silver finishes with ornate carvings and massive table size. 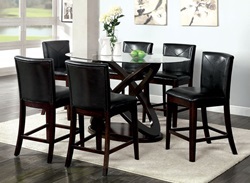 Rich cherry stains are on many styles including traditional, transitional, and casual. 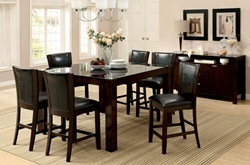 The round pedestal tables are a great choice for a smaller dining room or kitchen eating area. 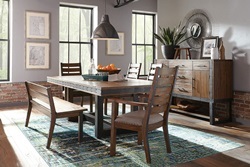 We love the counter height gathering table sets, as well as, the family sets with bench seating. Most tables today come with extension leaves for size options.